Palung Mountain National Park is one of nature conservation area which has high biodiversity value, and various types of ecosystems including mangrove forests, swamp forests, peat swamp, freshwater swamp forests, tropical pamah forest, and montane forests that are always covered with fog . 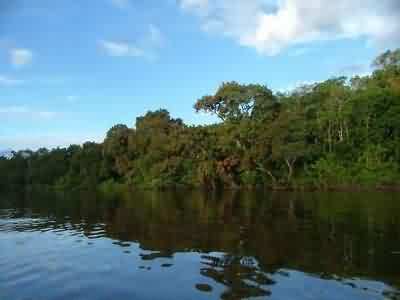 This national park is the only tropical forest area Dipterocarpus, the best and the widest in Kalimantan/Borneo. About 65 percent of the region is still a primary forest undisturbed by human activities and has many wild plants and animals. Palung Mountain National Park is a national park located in Ketapang, West Kalimantan, about 1.5 hours flight from Pontianak, 6-7 hours by motor boat, proceed to Sukadana (four wheel drive) for around two hours. Continuing from Sukadana to the location through Meliya River by longboat called Bandong about four hours. Pontianak – Batang Bay (speed boat), four hours and continued to the Gulf of Melano (two-wheeled vehicle) for about one hour. Pontianak – Teluk Melano (speed boat) between 9-10 hours. The area of the park is about 90,000 acres, which lies from north Matan Hilir, Sukadana, Simpang Hilir, Nanga Tayap, and Sandai. Best time to visit: just don’t go there on rainy season! 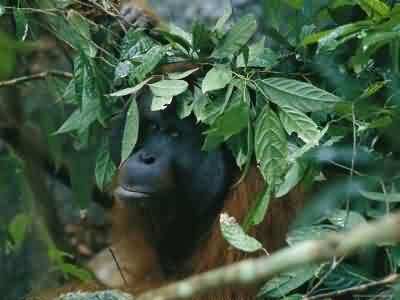 Like any other areas of West Kalimantan, this region is generally covered by jelutung (Dyera costulata), ramin (Gonystylus bancanus), damar (Agathis borneensis), Pulai (Alstonia scholaris), Rengas (Gluta renghas), ironwood (Eusideroxylon zwageri), Bruguiera spand medicinal plants. The unique plants in this national park is the black orchid (Coelogyne pandurata), which is easily seen in the River Matan especially in February-April. 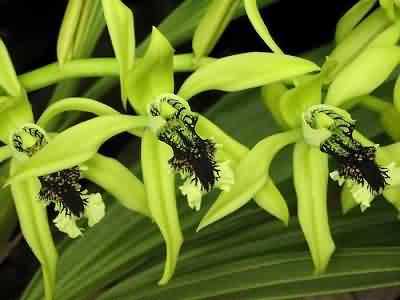 The appeal of the black orchid can be seen in the form of which is marked with green color and a combination of black spot in the middle of the flower, and the bloom period between 5-6 days. There are about 190 species of birds and 35 kinds of mammals that act as plant seeder in the forest. 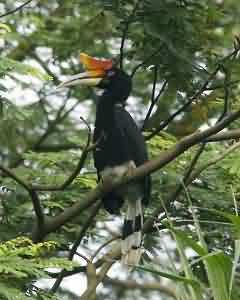 All families of birds and probably of all bird species in Borneo, are in this national park. Animals occasionally seen in this National Park Mountain is bekantan (Nasalis larvatus), orangutan (Pongo Satyrus), four-striped ground squirrel (Lariscus hosei), deer (Muntiacus muntjak pleiharicus), sun bear (Helarctos malayanus euryspilus), monkey (Macaca nemestrina nemestrina), klampiau (Hylobates muelleri), slow loris (Nyticebus coucang borneanus), rhinoceros hornbill (rhinoceros Buceros Borneoensis), deer (Tragulus Napu borneanus), jungle fowl (Gallus Gallus), hornbills ivory (Rhinoplax vigil), Siamese crocodile (Crocodylus siamensis ), ivory turtle (Orlitia borneensis), and jars turtle (Caretta caretta).